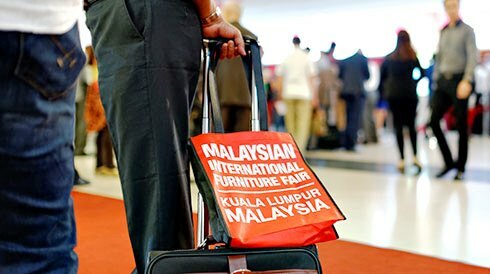 KUALA LUMPUR, MALAYSIA - At the Malaysian International Furniture Fair (MIFF) 2016, the region's biggest global furniture market, trade show operator UBM will partner with Alibaba B2B, a business section of China's answer to Amazon.com., in an effort to link online and face-to-face business trade show exhibitions and sales. The MIFF five-day show, running March 1-5, expects 500 exhibitors at the Matrade Exhibition and Convention Centre in Kuala Lumpur, drawing thousands of global buyers from as many as 140 countries and regions. The pilot event for mixing online and in-person business-to-business sales will be staged by Alibaba for the first time outside of China and is the sole furniture sourcing event for the initial phase of the strategic alliance, the addition of Alibaba B2B. Buyers will also enjoy additional O2O experiences through integration of Alibaba's Trade Assurance program to select MIFF exhibitors as well as onsite matchmaking programs. Malaysian International Furniture Fair (MIFF) is an export-oriented furniture trade show held annually in Kuala Lumpur, Malaysia.